Ten years ago this week, Wigan Athletic concluded their successful 2005-2006 campaign finishing in an unexpected tenth place in the Premier League table, while also making it to the League Cup Final. 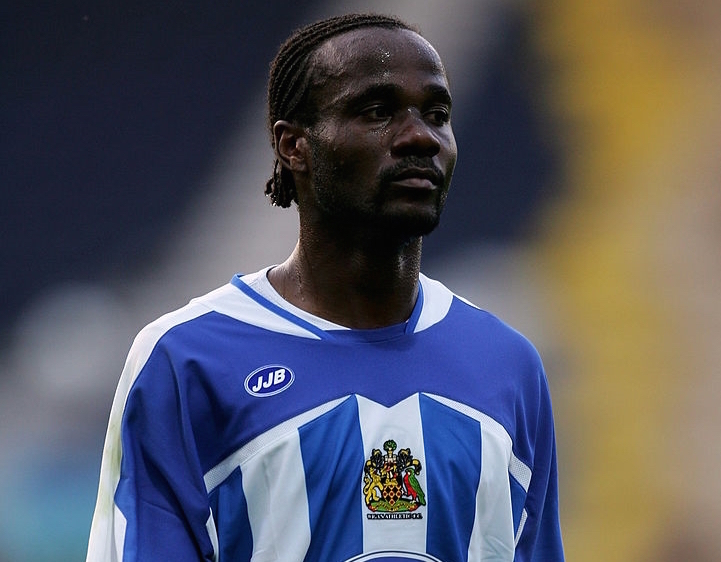 While a memorable season in itself, the final day of Wigan's campaign was to end in absurdity thanks to defender Pascal Chimbonda. On 7 May 2006, Wigan finished up their season with a 4-2 loss to Arsenal in the last ever match at the Gunners historic Highbury Stadium. An entertaining match, that had seen Arsenal storm back from 2-1 down thanks to a Thierry Henry hat-trick, should have been the main story of the day as the grand old ground closed it's doors for good. But the Latics were going to add their own bizarre twist to the proceedings. As Wigan's players made their way off the pitch, manager Paul Jewell stood on the touch line congratulating each of them for a hard fought season. When he came to Chimbonda though, instead of the Frenchman offering Jewell his hand he reached into his sock and pulled out a printed transfer request. The incensed manager and his boss, club owner Dave Whelan, stuck a price tag of £6 million on his head and refused any offers below that. On the final day of the following season's transfer window though they finally caved and sold him onto Spurs for £4.5 million. While some players have a few great tricks up their sleeves, be aware that some may have a few dubious ones down their socks.